St. Mary’s is an unusual building set in one of the most distinctive landscapes of the South East. It stands on the edge of open marshland, and looks towards the river Thames across waving reed beds and narrow stretches of water. RSPB reserves are close by. The church has grown over the years since Norman times, doubling in size in the 14th century, perhaps to serve a nearby community of nuns. It contains a wonderful selection of medieval woodwork and its big quiet spaces are there for everyone to enjoy. 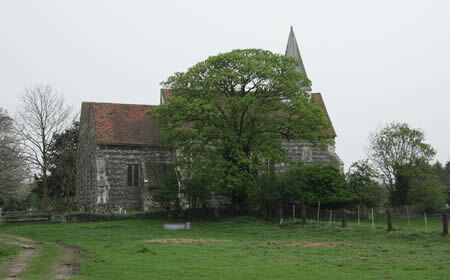 Only a few services are held at St. Mary’s, and since 1987 the church has been maintained by the Churches Conservation Trust.